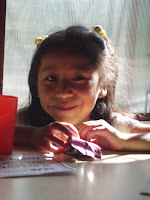 To celebrate our last English class this year we organised a little party for the kids with diplomas, cherries and juice. Here are some pictures from last Thursday when we played our last games until March and said good bye to class room rutin. The English classes have also stopped inside Ciudad Oculta and from 7th of January we’ll be having a new schedule for summer. 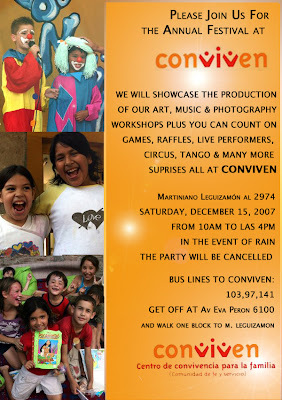 Probably there will be activities on three days a week, both in Conviven and Maria Rosa’s house. The schedule has not been finalised yet, but you will have the opportunity to read it ASAP. „Have you seen the film The Chronicles of Narnia,” Nahuel’s dad Ivan asks me when I pop the question how did everything go in Turkey, “coming home was like entering another world again,” he adds emotionally. Although Nahuel’s life in Ciudad Oculta is not as glamorous as it was in Turkey – after all they live in one of the poorest neighbourhoods of Buenos Aires – our 10 year old chess champion is happy. His big brown eyes grow even bigger and start glowing as he speaks how he saw the sea for the first time of his life and even went swimming in it, despite the fact it is already pretty cold in Europe. Nahuel agrees that the trip was worth all the trouble with the money, visas, getting the plane tickets and finally almost missing the opportunity to play. “I liked everything,” Nahuel shrugs his shoulders without knowing what to point out – the Blue Mosque, Taksim square or Grand Bazar in Istanbul or sea and competing with others in Antalya. 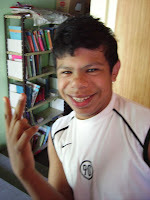 “I spoke a little English, made new friends,” is Nahuel kind of shy with words, but agrees that he should try to start sending e-mails in English to all his new friends he made. After all – how often does a 10 year old have the chance to play chess together with 1600 other chess geniuses all around the world? If you liked to help us to pay back the debts we’ve made in order to get Nahuel to The World Youth Chess Championships, please do contact Benjamin (boenne at hotmail dot com). We still have 350 USD to pay back and we would like to get that debt off our shoulders as soon as possible. 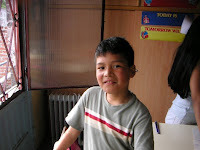 Read more about Nahuel and how we managed to get him to Turkey. P.S. the pictures will be uploaded ASAP as Ivan promised to bring us a CD with the photos they made in Turkey. 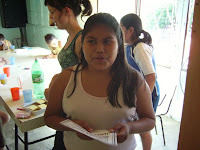 This last Friday marked the 4th theatre workshop meeting between the Conviven volunteers and the kids from Ciudad Oculta, reports our volunteer Nicole. Thankfully, after 10-minutes of uninterrupted musical and acrobatic distraction, the kids were ready to participant in our first group activity. 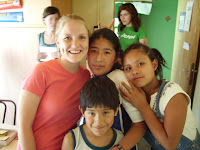 We began with a game of pistolera where the children circle around one person and, once chosen, must quickly sit allowing the two people next to them to dual. The last person to react sits out until the next game. The game gets progressively harder as fewer and fewer kids are left in the circle and it's less clear who is supposed to be duelling. We chose this particular game to begin to get the kids focused on reacting to each others' sound and movement. As we are interacting more regularly with the kids, we've begun to get a better understanding of what they enjoy and a sense of the creative capacities of many of the children. We’ve begun to brainstorm ways to build on some of the games that have become staples in the hour-long workshop. For example, one of our volunteers Maria introduced us to a game similar to charades where two teams begin on separate sides of a room. The teams alternate agreeing on some kind of object or person to act out and then approach the other team whose job it is to continue guessing until they've guessed correctly. The acting team must turn around and try to get back to their side of the room before the guessing team tags them forcing them to switch sides. The highlight of this week's game was when one team decided to act out "cheese." As the workshop develops, children are becoming increasingly creative with the objects of people they choose to act out and the ways they choose to represent the object or person without using words or props. The kids saw us off with the standard combination of "chau's" and kisses. Several circled back into line to say bye again, this time giving us exaggerated, high-society "chau's" and air kisses.